Choosing a backup battery is not an easy decision as I thought. I’ve tried tons of batteries but the majority of them were dead after just a few months. My current power bank is the Jackery Giant Plus and I really love its durability and performance. I wanted to see how newer external batteries have been improved over the years, so I asked for some review units from EasyAcc. 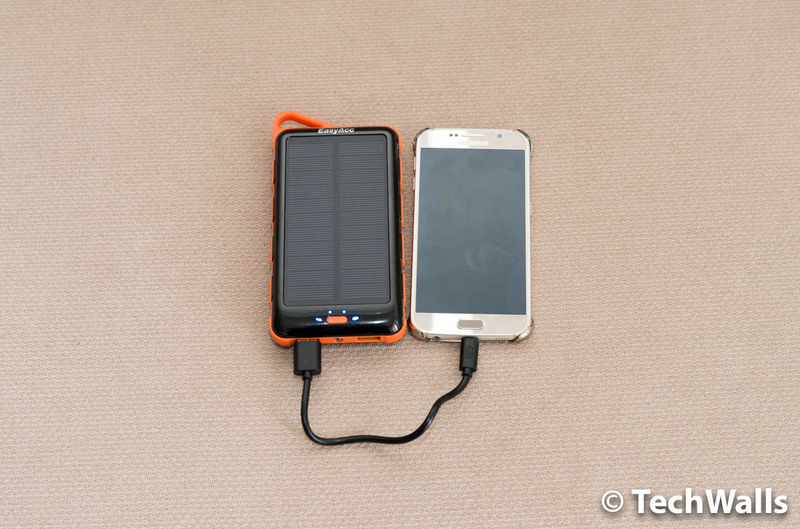 The product I’m going to review in the post is the EasyAcc Classic 15000mAh Solar Panel power bank. There is no significant improvement in battery technology, so you can see that the product is still quite big and bulky. EasyAcc equips the product with li-polymer battery cells, so it is thinner and expected to suffer less from aging. The product is environmentally friendly from the inside out. The packaging is made of cardboard which is easy to recycle, who needs a beautiful box when most of us discard it immediately after unboxing? What’s special about the battery is the built-in solar panel on the front. The panel would be great because it could allow us to use sunlight to charge the battery anywhere. However, this is also the most disappointing aspect of the product. Firstly, it requires direct sunlight to generate the power, I put the power bank near the window but it didn’t work. And even when I place it outside, the panel seems to be too small to collect energy for the battery. I don’t see any change on the battery indicator after charging it with the solar panel for over 6 hours. Otherwise, this performs great as a regular power bank. 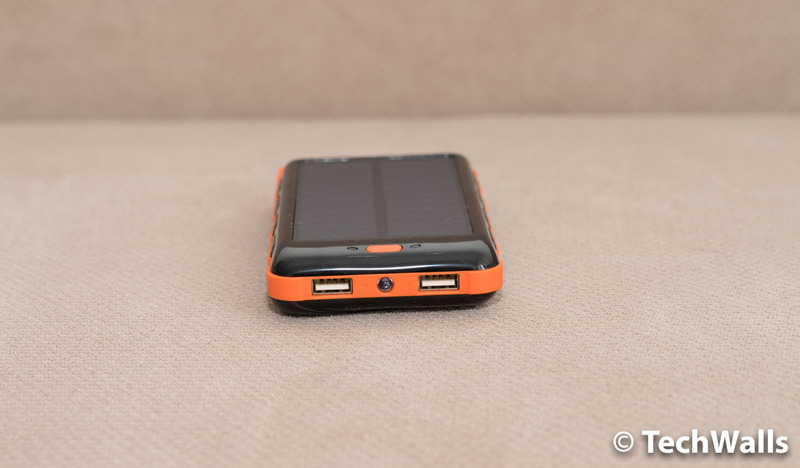 It has a built-in flashlight, a fast-charging 5V/2.1A USB port and a slower 5V/1A USB port. The battery has a high capacity of 15,000 mAh, which is enough to charge my Samsung Galaxy S6 nearly 4 times. I’ve used the external battery for over a month and it is still working flawlessly, of course, except the solar panel. This is a good product but you will have to pay extra for an unusable feature.